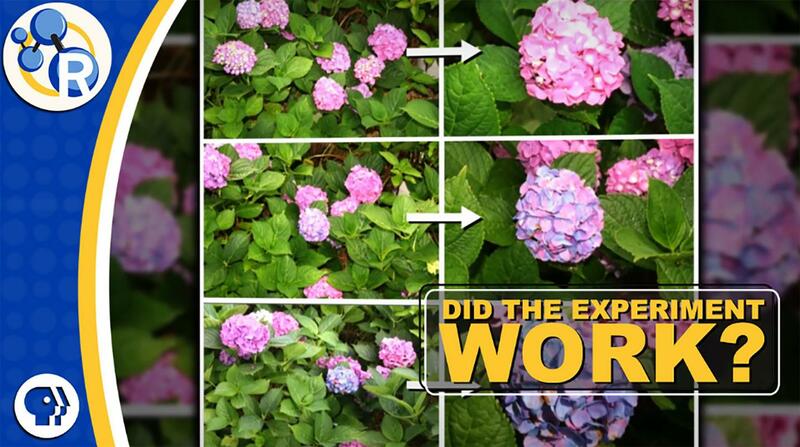 WASHINGTON, July 5, 2018 — In a previous video, the Reactions team attempted to demonstrate the color-changing science of hydrangeas by using aluminum citrate to try to turn cut flowers from red to blue. The experiment didn't work, but it did demonstrate why failing and trying again is so important in science. In this video, the team finally sticks the landing: https://youtu.be/WVAnvTjbmSE.